This is for those that are new to the necessity of a budget or are have tried and are needing a refresher. Creating and tracking a monthly personal or household budget, in its simplest terms, is far better than not having one. This will let you understand what you can afford to spend on any miscellaneous items in a given month. It will also let you determine if you have money left over for savings or making extra payments to anything (such as a loan or credit card). This can easily be done with paper and pen. You might also rather utilize a spreadsheet which can make this easier to do each month. A spreadsheet will do all of the basic math for you and allow you get your expense categories set up to use over and over. When you use a spreadsheet for your basic monthly budget practices you can use the same template to update each month. 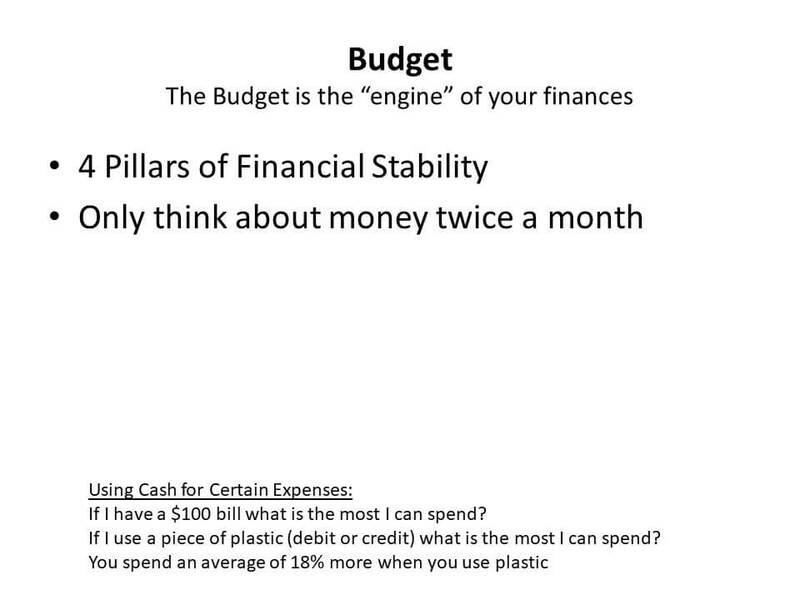 See below for a download file of a basic budget template that was provided by Microsoft. If you don't have access to Microsoft Office on your computer, the spreadsheet can also be utilized in Google's free Sheets app online. Knowing if your income is more or less than you are spending will help you make adjustments where needed. Spending more money each month than you have in income is not a pleasant experience. Something is going to have to go unpaid. With your simple personal budget you can begin to make sure the necessities are paid first and feel better about knowing how much extra money you have in any given month. Budgeting takes practice. Once you make your budget part of your monthly routine you will want to keep track of your actual spending so that you can track the budgeted amount to the actual amount spent each month. This will tell you how well you are doing with staying within your budget. Once you feel comfortable with the process of basic budgeting you may like to consider some of the online tools available. The advantage to utilizing a budget system online is that many of them will connect to your bank account so that your transaction history is automatically loaded for you. This lets you go through each item and categorize it into the appropriate budget category. Then you are able to see a up to date total for what you have spent for the month in any budget category. 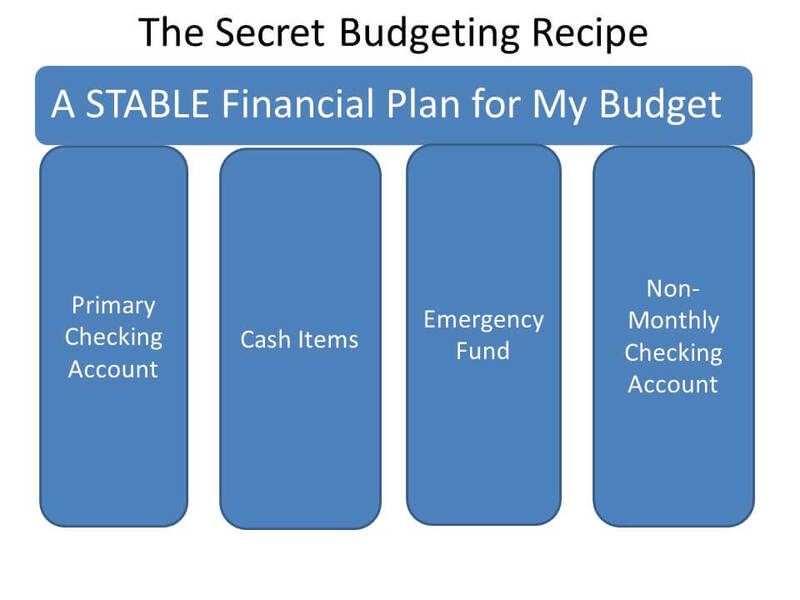 If you are just getting started with budgeting, or are re-starting, don't over complicate it. You will find the most success with your personal budget by making it a simple process that you actually keep up with each month. Staying on top of how much income you have vs how much you spend each month is your top priority. The picture below is a screenshot of the monthly budget calculator spreadsheet. You can download the file with the link right below the picture. Her credit score and DTI should be in a much better standing--assuming you follow our advice to not incur more debt, make the 1 consolidated payment on time, and continue to pay on any debt left outside of the consolidation"
Sounds pretty straight forward doesn't it? Providing a service that will make your credit card companies accept thousands less than you owe and you can pay it all off in a period of three to four years, vs the seventeen plus years it would take paying minimum payments. Hah! Anyone that claims you can pay less than you owe on credit cards is not promoting a method that will save you or keep your credit rating from being injured. Notice how there isn't a single negative point detailed in the Sr. Financial Consultants provided information. The sad reality about these predators is that they are ultimately going to coach you into defaulting on your accounts, if you haven't already. If you've already damaged your credit history that may not seem like much of a consideration, but there are other considerations. One being that you will ultimately receive IRS Form 1099 from any creditor that you pay less than you owe. The total amount that they agree to forgive, or not collect on, will be viewed as income that you must report on your personal taxes and ultimately pay income tax on. The Sr. Financial Consultant also fails to mention any details regarding taking a cut, or charging a hefty fee on what you ultimately pay. The zero interest component is an interesting twist too. They are suggesting instead of paying the creditors, they begin saving up money with a set monthly amount put aside. They will wait out the creditor, while the account is in default, until they can get the creditor to accept less than the amount owed. The idea is that you have hopefully set aside an amount that is adequate to make the one time payment. This assumes they actually accomplish getting all of the interest stopped or waived on the account since the time you defaulted. Lets say you have an account that you owe $10,000 and they get the creditor to accept a settlement of $5,000 a year or two from now. They are going to have their "fee" included when they present you the settlement. That fee could be ten, even twenty percent. So you are ultimately going to pay their "fee" on top of the $5,000 actually going to the creditor. Most credit card companies will negotiate at some point. They usually become more aggressive with their willingness to negotiate repayment terms the more months pass by with no payments received. If you have managed to make minimum payments up until this point, creditors are not going to do anything for you. They want you to keep paying that minimum payment forever. That is why they extended the credit line in the first place. The bottom line is the only leverage you will ever have negotiating paying back less than you owe to a credit card company is by actually defaulting and stopping payments entirely. The sales pitch from every form of business that will prey on you "to help you with your debt" focuses on what you want to hear. The thought that you can repay less than you owe can be a very enticing subject, especially when you are under the stress of large balances on your credit cards that you no longer believe you will ever be able to pay off. The truth is that you can accomplish anything you're being told by one of these people by yourself. No matter what spin they place on it, no one has any special methods or connections that make their options better or magical. ​So what can actually be done when you are drowning in credit card debt? Your first consideration should be how you may be able cut all non essential expenses and create a budget that works to manage everything. If you haven't damaged your credit than look at all potential loan options to consolidate your debt into one payment at the lowest interest rate possible. There are some very aggressive lenders that offer consolidation loans. I would never consider a home equity loan or mortgage refinance to take cash out to pay off credit cards. Putting your home at risk is a very bad idea and quite often leads to people continuing the cycle of using credit cards and accumulating even more debt. If that happens to be your only option and you actually consider it, be sure you think it through very well. Whatever you do, all your credit cards should be cut up and thrown away. You have to take a stand and commit to stop being a slave to credit cards. The second consideration we are going to assume you have managed to make minimum payments. You may have paid late on occasion, but you have continued making payments on all accounts. - Create a solid budget to understand exactly how much money you have available to divvy up among your monthly credit card bills after all of your essential living expenses are paid. You need that knowledge before you attempt calling any of your credit card companies. - You need a good story or hardship explanation that you can use to explain how you arrived in this predicament. Think outside the box and come up with something. - If you call a credit card company and tell them you are no longer able to make payments they are highly likely to pose you with options. One may include their offer to close the account to any further spending along with lowering your interest rate (sometimes to zero percent) for a period of time (I've seen as long as eighteen months initially). Be prepared though, you are admitting you are having trouble so it is likely that the card company will take action to lower your credit limit immediately no matter what you ultimately decide to do. - Any offer they make is not going to go away immediately. You ultimately need the options of all credit card accounts you have in front of you so that you can consider everything at once. Hopefully the combination of potentials with each creditor will get you to a manageable monthly total and you can get on a path to pay everything off. The third consideration gets a little more intense. These details consider you are already past due on all or most accounts, have completely stopped paying, or have realized you can no longer pay your monthly credit card bills. You will now need to focus your effort in arriving at settlements somewhere down the road, hopefully for far less than you owe. - If your budget determines that you have no money to put towards credit card payments, then don't. You have to take care of your basic living necessities first. You should not let credit card debt cause you to be delinquent on your mortgage, car payments, or any other necessity. You are probably faced with the scary idea that you have or will damage your credit, but if you are in this situation that should be the last concern. You have already proven you don't need to be utilizing credit any longer. Consider the damage done and start working on your plan to recovery. - Being delinquent on credit card bills will trigger endless phone calls and letters from credit card companies. It doesn't hurt to talk to these collection reps, but unless you have questions about options or some form of payment to offer it really isn't worth your stress. So grow some thick skin and just know that they want their money and are going to hound you. You do have the ability to send creditors a letter that requests they no longer call you, but they will still mail collection items thereafter. You can always call them when you have a need to discuss something. - Once a credit card account is severely delinquent there really isn't a way to salvage the account. The credit card company will shut you out of your account and they are only focused on getting paid back. As each month passes, with no payments received, they will be more likely to offer you a lesser amount than you owe to satisfy your account. Some of them may even offer it by way of installment payments. Any payment plan terms or settlement agreement that you are considering must be in writing. Consider anything that you don't have in writing to just be hypothetical. There are tons of horror stories of consumers entering into a payment arrangement or settlement agreements, that they didn't completely understand, and the creditor didn't hold up their end of the bargain. 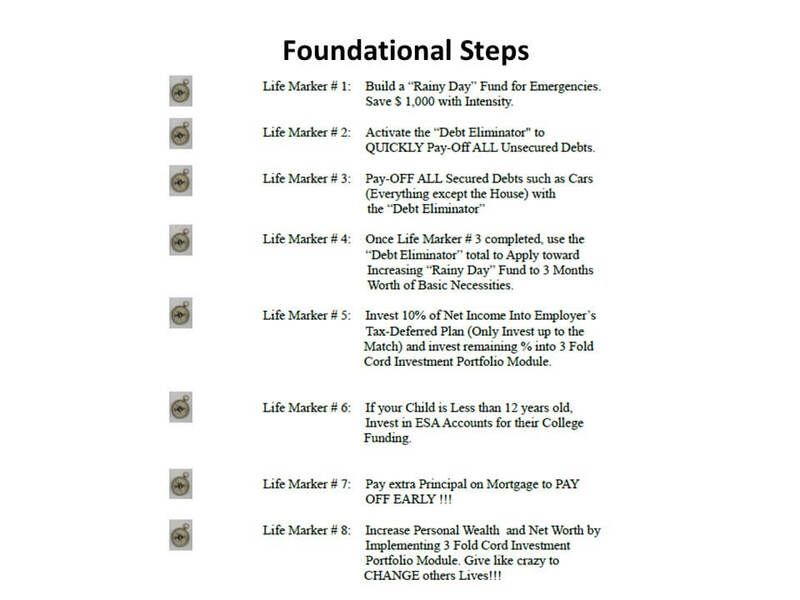 - You have to find a way to start accumulating money to be able to take action on a good settlement option. Since you haven't been making any payments you need to set an amount every month that you put aside, just as if you were making payments. Even if the budget is still very tight you can at least feel better about the idea that you are putting money aside that is going to actually accomplish something instead of throwing it away on minimum payments. - Credit card companies, in the end, are left with only one option to escalate their collection efforts. They can call and mail letters all day long, but they also have the ability to file a lawsuit to pursue a judgement against you for what you owe. They don't always take that action, but you have to assume they might. Sometimes they just write off the debt and sell it for pennies on the dollar to a third party that will continue to try to collect on it. If you are served with notice of a lawsuit it is very important that you file a reply or answer to the court within the time allowed. This being a legal matter I highly recommend that you contact a competent attorney in your area to discuss your situation and options. You have to take lawsuits very seriously. In some states creditors with court awarded judgments have a lot of options to pursue you, including the ability to garnish your wages. If you are faced with a debt pile, especially credits cards, I know how stressful it can be. You just have to focus on the fact that you never intended to be in this situation. The credit card companies make billions of dollars allowing people to over extend themselves with debt in the name of interest and profits. You just have to make a plan and work through it! 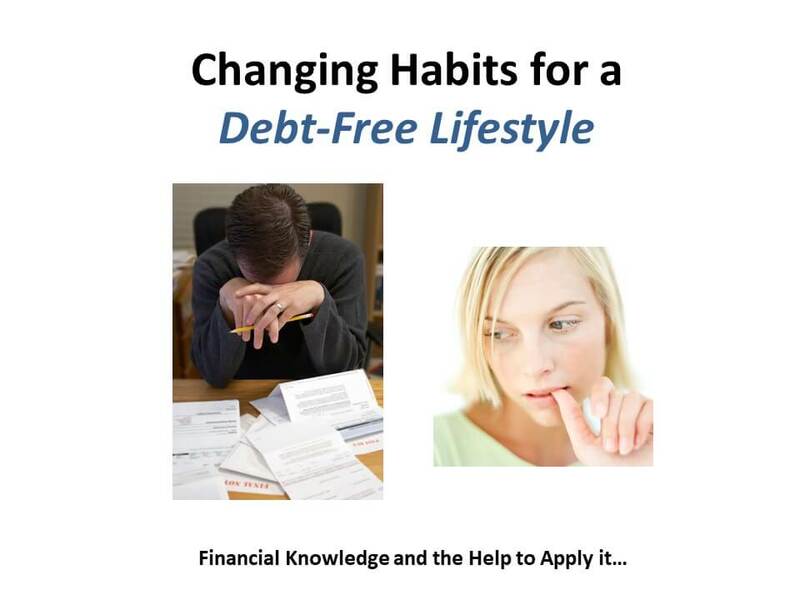 For more reading on debt issues and pursuing a Debt Free Lifestyle click here. Living above our financial means is just one of the major pitfalls of living in a consumer debt driven society. I'm by no means an evangelist for preaching debt is bad, but debt is usually what starts the vicious cycle of destroying household finances. Being constantly bombarded with clever marketing and plenty of consumer debt offerings, it is tough to have the financial discipline to use debt only as a tool and not just to buy things we can't really afford. Basic personal financial knowledge is mostly absent from the teachings of traditional school education in America. You have to educate yourself and for many people that realization unfortunately comes only after debt has been accumulated. Just know you are normal, and you can learn new habits to change your financial destiny. ​If normal is broke, are you ready to be a little weird? By the time most folks admit they are in financial trouble they are feeling the daily concerns of bills piling up that they can't pay. A crisis has probably been building for quite some time and thinking about bills coming due, or those that are past due, becomes very consuming. If you are simply seeking knowledge to keep yourself from ever arriving at a crisis, good for you! ​Having a solid plan to manage your income and bills is the only way to a sustainable financial path. Paying bills twice a month, on roughly the first and fifteenth, should be your ultimate objective for how you manage money. 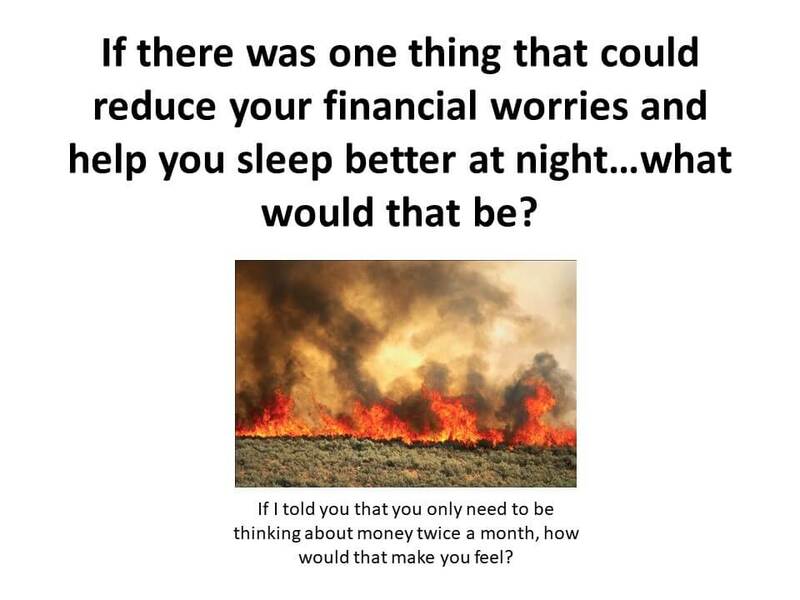 If you are currently in a crisis where you can't pay all the bills, the thought that you just never have enough money probably enters your mind regularly. If you are currently unemployed, or there is no household income whatsoever, that may be a valid temporary view. The fact for most people is that you have income. There just isn't enough money coming in to pay all of the bills coming due. ​I haven't talked to very many people that showed me a list of bills that didn't include credit card debt and other non essential bills. Seeing a gym membership when the mortgage is two months past due sticks out like a sore thumb. Most people that are struggling are still trying to pay everything, including the type of expenses they need to realize they can no longer afford or could never afford in the first place. 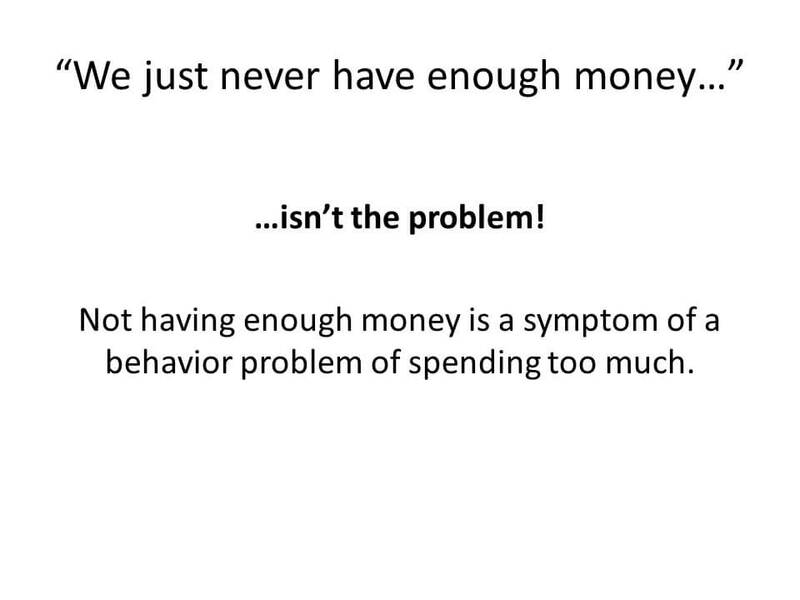 Spending is always the behavior that has to change. The reality may just be that you can longer pay everything. Knowing exactly how much money is coming in and your budget telling your money exactly where it will go is the only answer to develop a plan that works. 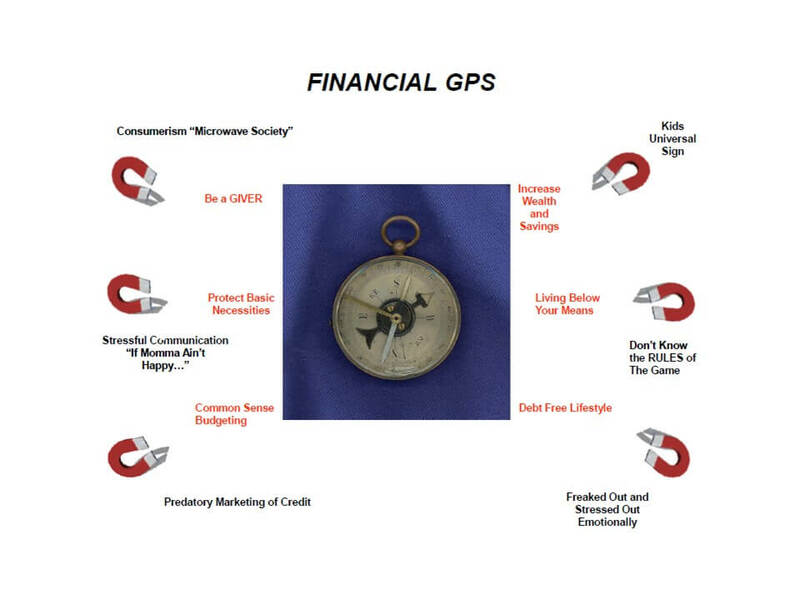 Think of your household finances as a compass that you need to accurately point you toward the north. There are always many components, or demands (magnets), pulling at our finances. 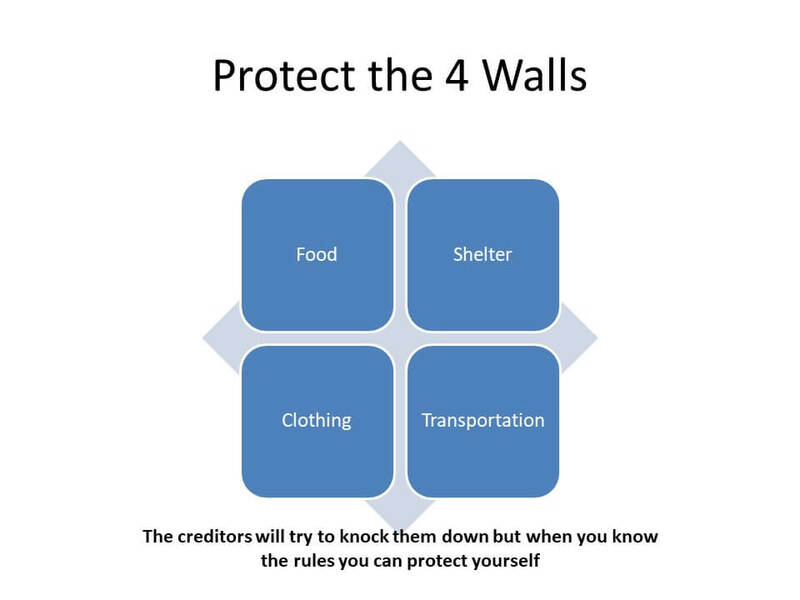 If you are currently in a crisis there are four key components of your finances you need to give most of your attention. These all get paid first, no matter what other obligations there are. You must eat, you must have a place to live, you must have appropriate clothing for work or school, and you need transportation. Creditors, especially credit card debt, will try to disrupt this thinking. Most often the fear of affecting your credit score is the intimidating factor that can cause priorities to be misaligned. If you are at risk of neglecting your 4 walls of necessities, everything is bound to crumble in time. You have to prioritize where the money you have available is going and these four categories of expenses come first no matter what. Just about every book I've read, and every talk I've heard, related to personal financial crisis recommends the same starting point. A "Rainy Day Fund", or emergency fund, is where you draw your line in the sand and start a new path. The commitment to saving $1,000 and guarding it with your life is a small victory that you want to accomplish as soon as possible. The $1,000 will then be off-limits for anything budget related. It will serve as your last resort protection of the 4 walls mentioned above. I'm going to guess that after completing a proper budget and spending plan, based on your actual income, that you are going to be unable to pay everything you are currently accountable to each month. But don't worry, getting to that point is going to provide clarity as to what debt obligations can actually be paid. It is imperative that you have a complete understanding of the current reality. Get to work creating a budget that includes what has to be paid and focus on sticking to it while you build your emergency fund. The life markers are foundation steps that some can achieve in just a few years time. For others it may be a lifelong pursuit. Don't concern yourself with that timeline right now. Right now everything is about getting yourself to a stable starting point and making some real progress. If you've attempted a written budget in the past you know it can be an eye opener to see how much money you really need each month to pay everything. Sticking to a budget is much harder than making one. 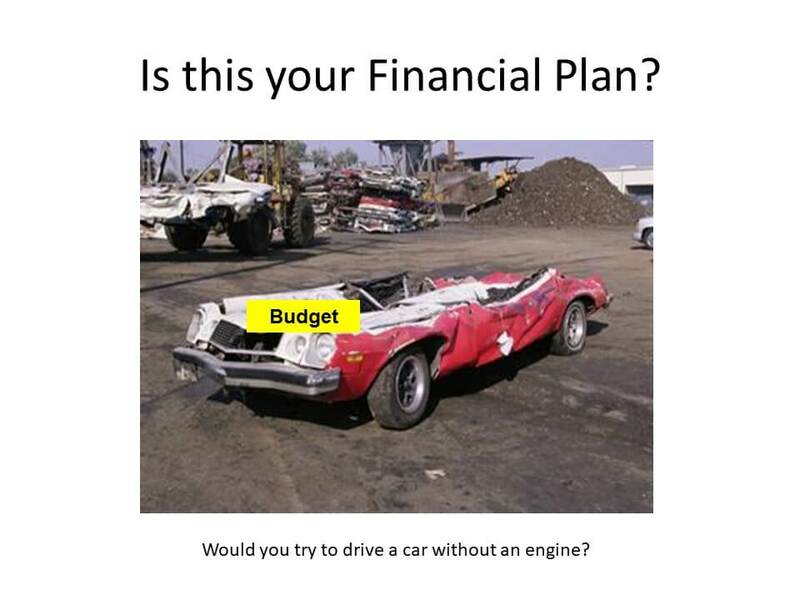 Ultimately your budget is the "Engine" of your finances and managing that budget is your top priority. 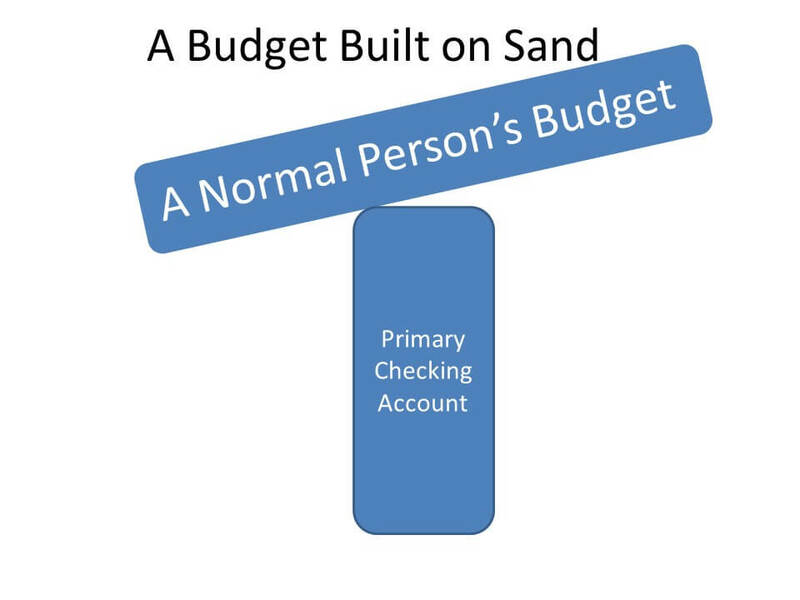 Where most people fail in managing personal finances isn't in the actual creation of a budget, it's the way they manage income received and that typically lacks a spending plan altogether. The spending plan is the component that will offer you the ability to pay bills twice a month. Your spending plan takes into account all of the money you bring in at specific times of the month and designates what budget items it will be allocated to. Your primary checking account is where you handle all deposits and all of your money starts each month. It is also where you pay for monthly budget items that need to be handled electronically, such as online bill pay or payment of utilities with your debit card. On the first and fifteenth of the month you will also begin to make a cash withdrawal that accounts for all of the money in your budget for items that will be paid for in person over the next two weeks. If you are spending money in person it must be cash. Remember, you can't overspend what you don't have and paying in cash creates that certainty. Your emergency fund is a completely separate account. If you might ever be tempted to use your emergency fund inappropriately, open this account at a different bank that you don't use for anything else. Decline having a debit card for the account and only use it for in person deposits when adding to your emergency fund. $1,000 as soon as possible in this account is the goal. The fourth category is the account you will use for non-monthly budget items. These are bills or expenses that don't occur every month. For example, you have a child that will play soccer but the registration fees are only once a year, or your car insurance may only be paid once every six months. You will need to accumulate the money for that expense to be paid when the time comes. This account is where the budgeted amount gets transferred to on the first and the fifteenth to accumulate those funds. When you use a single checking account and debit card to manage your finances there are many pitfalls. You may have a good budget that accounts for everything, but it still doesn't account for the time of month you receive income vs the time of month bills are due (cash-flow). It also doesn't provide any means of accounting for the funds you need to be accumulating for expenses or bills that do not occur every month. Ultimately it is much harder to keep up with and stick to your budget with a single account and paying for everything with a debit card. Having a single checking account to manage all personal finances usually contributes to both spouses utilizing a debit card for in person payment. This makes it very difficult to stay within your budget because at the moment of making payment you probably have no idea what you have available in your budget to spend. Switching to paying for everything in person with cash can be a very uncomfortable change at first. But you have to focus on the positive point of knowing every time you spend money that it is truly money that you can afford to spend. None of these details should be construed as legal advice or instruction to take any specific action based on the comments made. I am not an attorney and do not have any professional designations for providing advice. You should consult a competent attorney or financial professional in your area to seek specific advice. Debt, especially delinquent debts is a tough topic. The laws of each state are very different on this subject. You have to consider the specific debtor rights of your state when making decisions in this area. In Texas the state has some pretty great protections for consumers regarding unsecured debt. For example, wage garnishment isn't allowed for any form of personal debt, including those that are awarded a court judgement. In Texas we also have a full list of personal property that is basically exempt from the actions of any debt collector. Some states don't afford much protection. 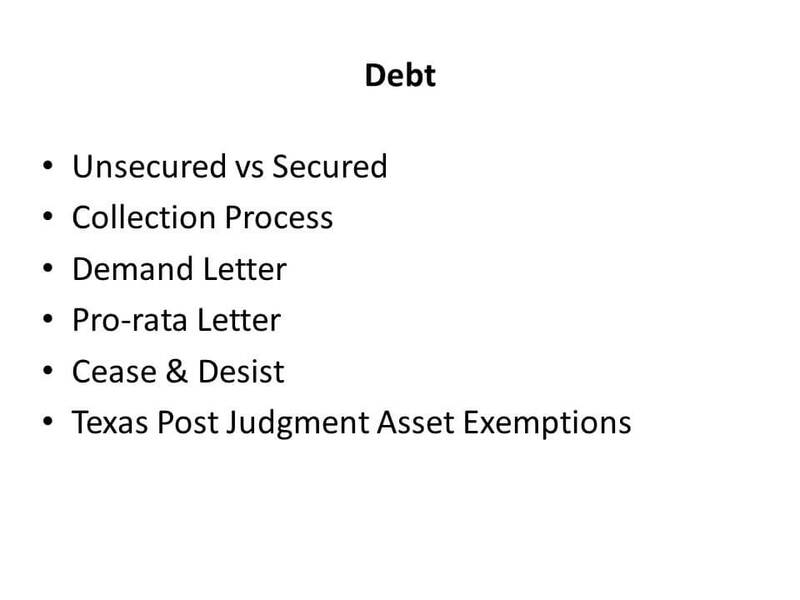 So I am going to keep the following details very broad related to debt collection. If you've already reached the point that you are not able to pay all of your debt obligations, then you will begin to see various forms of collection letters and receive collection phone calls. This can be very unsettling and stressful to be faced with. My personal viewpoint is that you have to find a position of peace with the situation by growing your knowledge and knowing that you are beginning on a path to change your future. Just about any letter you receive in regular mail from an unsecured creditor isn't very important in the larger scheme of things. Your options remain the same no matter how threatening or demanding the messages may seem. On the other hand, you need to pay special attention to the messages from your secured creditors, such as mortgage and auto loans. The lenders that involve property that you hold in your possession are first in line to be able to protect their interests. So you must communicate with your lenders that involve secured loans, but do it on your own time schedule. I recommend setting one day a week that you sit down and open mail, listen to voicemail, contact various secured creditors and focus on where things stand. When your talking to collection reps at your secured creditor, be honest with them and stay as calm as you can. You have to keep in mind that the person you're talking to isn't who you owe, they are just doing their job. Explain to any creditor that you talk to that you are in the process of a major over-haul of your budgeting practices and trying everything you can to get things back on track. If you've suffered a temporary loss of income explain that to them as well. If you have a new job starting they may be receptive to the fact you will have new income coming within a reasonable amount of time. If you find yourself being bothered too significantly with phone calls from creditors, you do have the right to request they no longer contact you by phone. You must make the request to the creditor in writing. You will still continue to receive mail from the creditor, but Federal law restricts a creditor from calling you after you have made a request for them to cease calling you. Where things materially escalate is when a creditor decides to take legal action against you. That would typically be in the form of filing a lawsuit to seek a court judgement for the debt owed, or in the case of a secured creditor they take action to foreclose or repossess. Up until this point you can probably manage well enough in dealing with things on your own. If you haven't already, once you have been served with notice of a lawsuit your best course of action is to seek legal advice. You may not have many options in defending such a lawsuit, but there are tactics that can still prevent the creditor from successfully being awarded a judgement by the court. 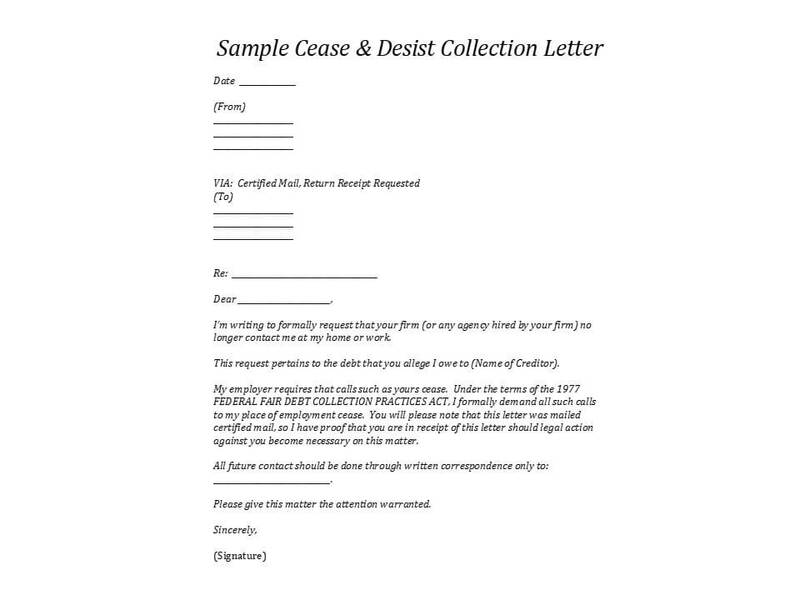 Here is an example of a basic letter template to request that a creditor no longer contact you by phone. You should utilize Certified US Mail with return receipt requested when mailing such a letter. It's important to stay focused on the positive outcomes that are in your control. Depending on your particular situation you may be able to transform your personal financial reality in a very short time, or it may take several years. Whichever it is, focus on the fact that you are learning new skills that will benefit you for the rest of your life. ​If you're in a crisis than jump into action, don't put your head in the sand, and get started with the most basic emergency fund, budgeting and spending plan. 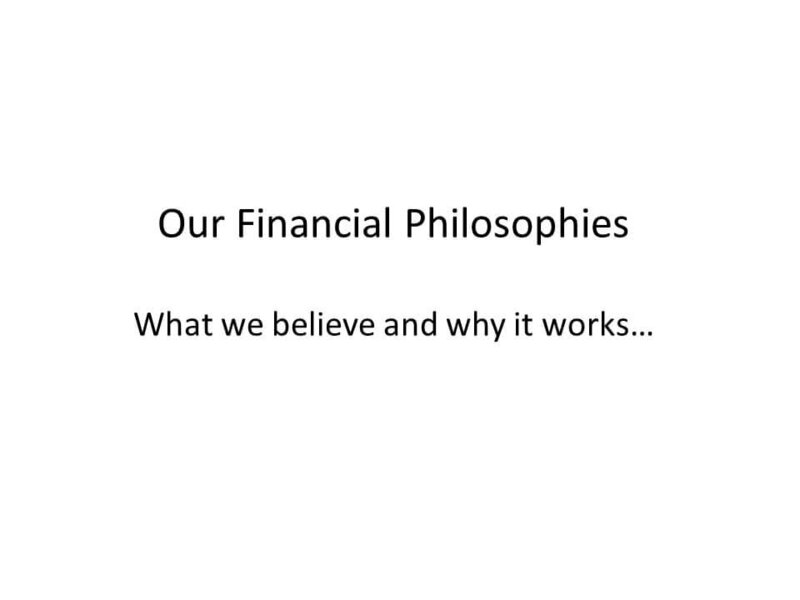 If you are fortunate enough to have a good handle on your basic finances than I challenge you to revisit some of your current methods to see where you can strengthen them and then move on to the next foundation step in further securing a strong financial future. Whatever your particular situation may be, take action, stay positive, and know that this will be a topic of history at some point! Feel free to leave a comment on this blog post. If you have questions I will be sure to answer to help in any way I can. Passionate about sharing my experience in personal finance, both great and terrible! 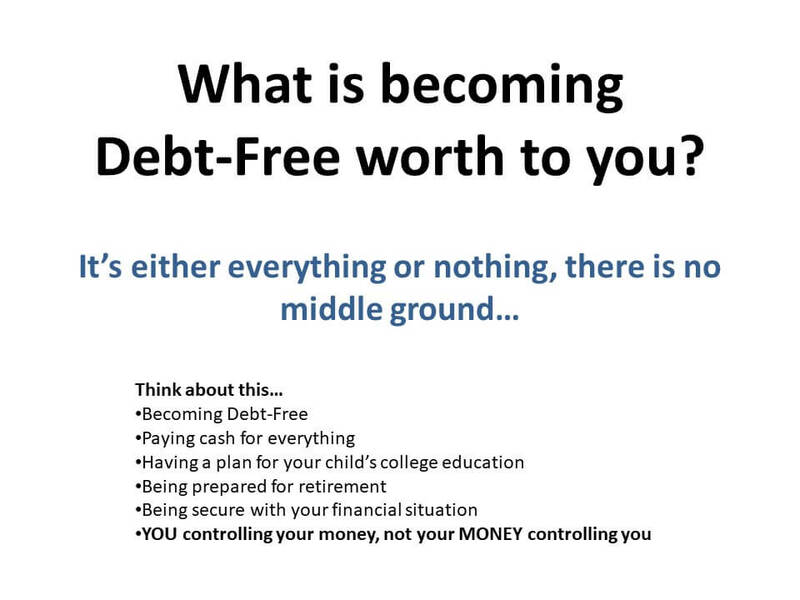 Spreading the motivation for us all to pursue a Debt Free Lifestyle!